It's been a while since we've had a jailbreak, but that doesn't stop Cody and Sebastien to discuss some of the best tweaks recently released, including PickPocket, NotificationPop, LockLaunchApp, EmojiSuggest, and Columba. Support Let’s Talk Jailbreak: Get Get $50 towards any mattress purchase by going to Casper.com/jailbreak and using code jailbreak at checkout. Cody and Sebastien discuss the fact that Apple is inviting prominent iOS hackers at its Cupertino HQ, and Zerodium's $1.5M bounty for remote jailbreak. The guys also discuss their favorite jailbreak tweak releases of the past month. Cody and Sebastien discuss the recent iOS 9.3.4 and 9.3.5 software updates, what it means for jailbreakers, and why we should be glad Apple patches exploits in a timely manner. A bunch of tweaks are mentioned, including Cydia Eraser, CameraTweak 4, Phone++, AnsweringMachine, and more. Cody and Sebastien discuss the latest Pangu jailbreak for iOS 9.3.3 and all the strings that come attached to it, including a complicated process, and the claims of fraudulent activity impacting some of the users. Times are getting harder and harder for jailbreakers, and despite seeing a jailbreak being teased, nothing seems to indicate things are going to get better, especially with WWDC around the corner and potential security improvements made to iOS. Still, Cody and Sebastien discuss the teasing of jailbreaks and a few newsworthy tweaks recently released. Support Let’s Talk Jailbreak: Get $50 towards any mattress purchase by going to Casper.com/jailbreak and using code JAILBREAK at check out. Tweaks, tweaks, tweaks, and more tweaks are covered in this new episode. Nine of them to be precise, and you know what? They're all very decent tweaks too. Cody and Sebastien discuss all of them and try to avoid being hit by a bad case of nostalgia. Episode 142: Jeff shares his iPad Pro accident story. Is it worth it to lose your jailbreak for iOS 9.3? How to uncover hidden features on the Apple TV. 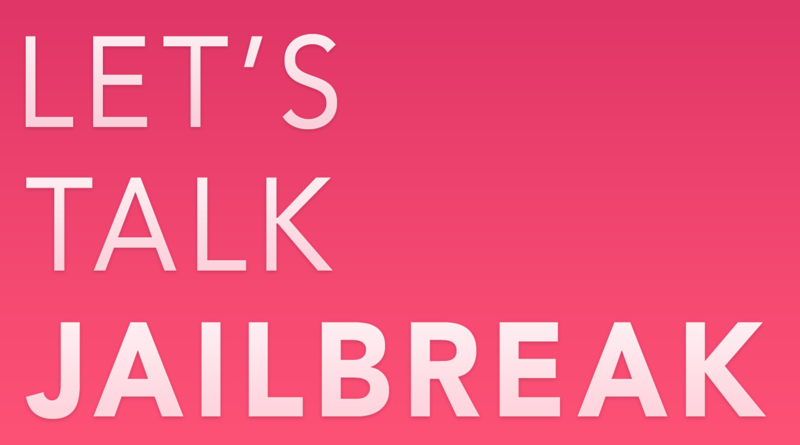 Several newly released jailbreak tweaks are discussed. Episode 141: Jeff talks about the top tweaks of 2015, the BigBoss repo gets a great looking redesign, four brand new Safari-improving tweaks, a tweak that lends a respring status bar, and an upcoming tweak that lets you downgrade App Store apps.